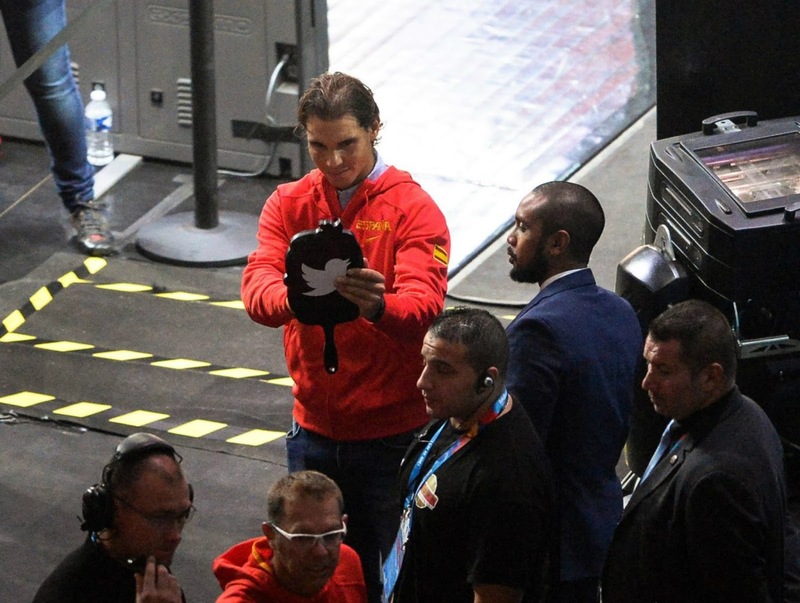 Spain's tennis player Rafael Nadal gestures before the EuroBasket 2015 final game between Spain and Lithuania at the Pierre Mauroy stadium in Villeneuve d'Ascq, near Lille, France, September 20, 2015. 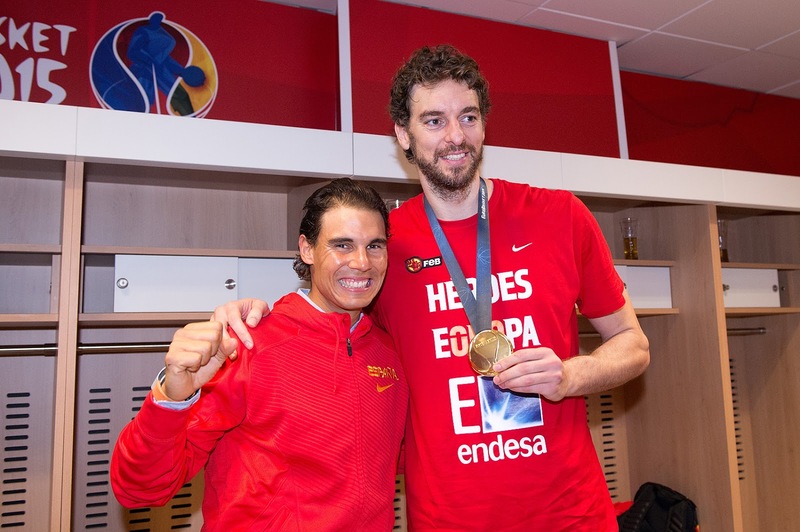 Nadal Backing Spain's "Unforgettable Generation"
"I have been watching almost every game, especially the Spanish ones,"
"I have a great relationship with Pau and other players too, with Rudy [Fernandez], with Sergi [Sergio Rodriguez]. "They are a great group of people that have had an amazing 10 years of history in this sport - an unforgettable generation for our country. "I have spoken to Pau a few times. 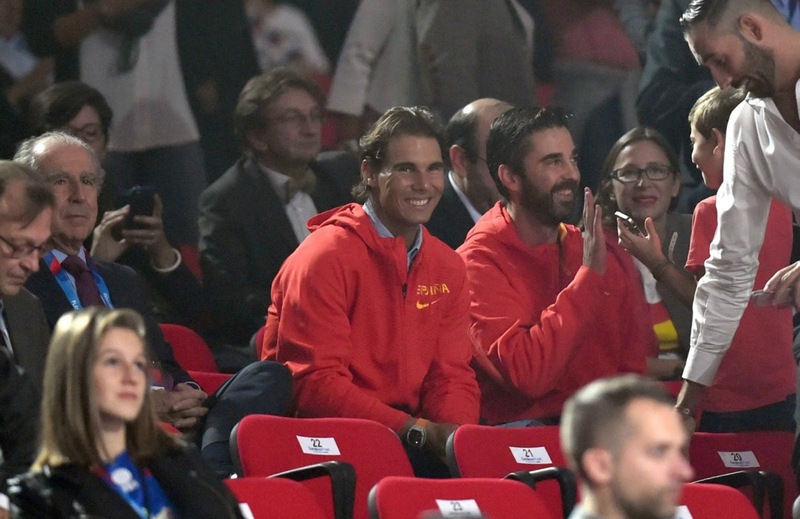 He's happy, he's playing an amazing tournament, one of the best tournaments of his career without any doubt. "The match he played against France was just unreal." "For me it's a privilege to be here supporting my team and they are having an amazing tournament so I wish them all the best for the final." 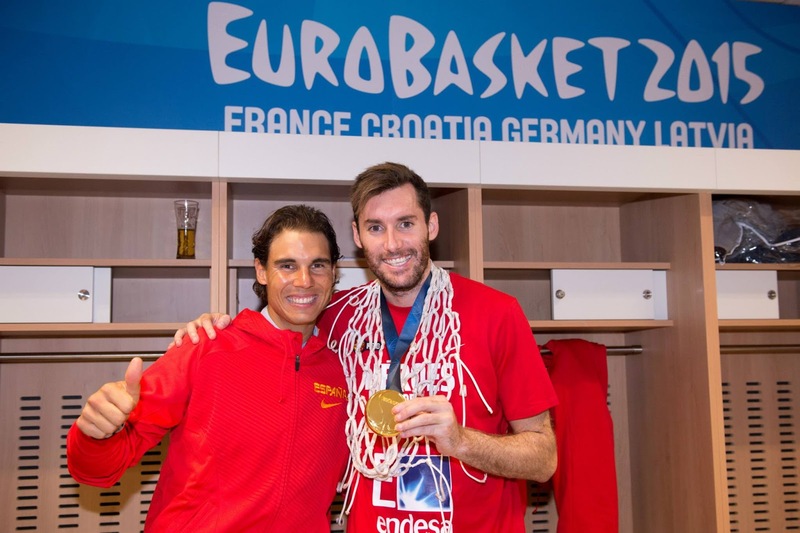 "I have been watching almost every game, especially the Spanish ones"
"I never do predictions, but I just hope for victory,"
Interview: Rafael Nadal: "Proud of our team"
You must be necessarily happy that Spain is in the final of EuroBasket2015? Of course ! I have many friends in the team, representing our country today. I'm really proud of our team. They competed formidably. I saw most of the games and I'm really happy that we are in the final because it means that we are qualified for the Olympics. That's a lot. I just hope that day will be another great day for Spanish sport! What do you think of Lille Stadium? The stadium is just amazing! It is something really very special. The area reserved for basketball games is beautiful. I saw a lot of the football stadium and it is truly amazing. You are big fan of the Spanish national team? I am a sportsman but I'm also a big fan of sport! I love sports, all sports. I am a great supporter of all my sporting friends. I am a patriot!